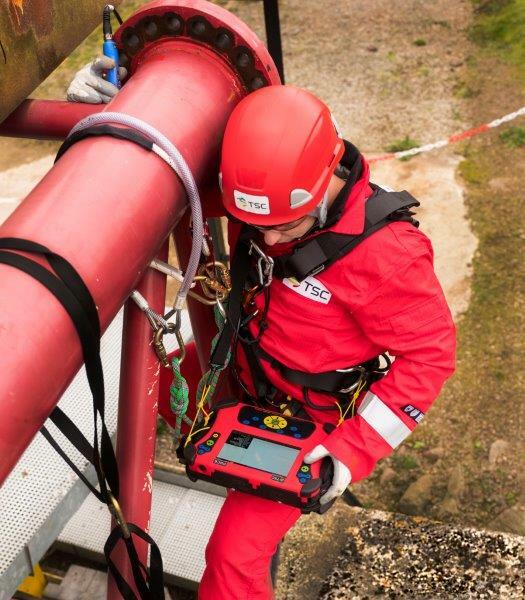 PACE™, provides the end user all the functionality and advantages of Alternating Current Field Measurement (ACFM®) NDT inspection technology in a lightweight, handheld, rugged instrument; partnered by a new probe design – SENSU™. TSC’s functional design philosophy continues in the new and innovative probe range SENSU™. These pencil style ACFM probes, with a straight nose and right angle nose, have been designed to perform easy, continuous scanning whilst being able to gain access to challenging tight angle inspection areas. As “intelligent” probes, the SENSU™ range stores configuration information and provides instant feedback on scanning status whilst in use. Brand new high-performance software has been developed to work with the operator creating inspection reports detailing defect sizes, locations and scans. An onboard camera enriches the ACFM® reports, providing supporting imagery from the inspection site for reference. Full records of scan data are able to be stored for audit tracking and new desktop software supports the operator and client further, with functions to investigate scan data and create bespoke client/job focussed reports. Desktop software will store all inspection data and allow the history and audit trail of inspections to be maintained and referred to. 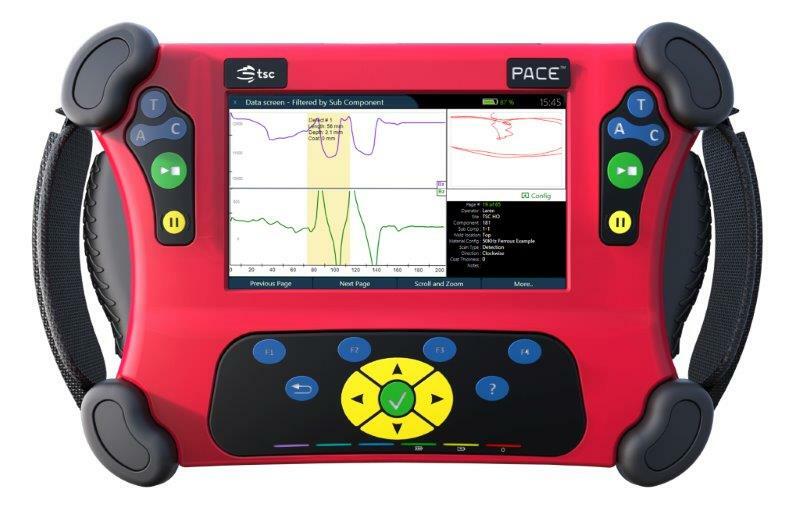 Creating professional site reports is fast and simple with the PACE™ instrument. A couple of button presses can quickly transform any data page into a report with full location information, relevant data traces, defect sizes, notes entered plus any pictures taken of the location. The report also contains all probe and instrument details and an inspector sign off the box.These reports can then be stored in both .pdf and .docx format on the PACE™ internal drive and downloaded onto a removable USB stick or drive. 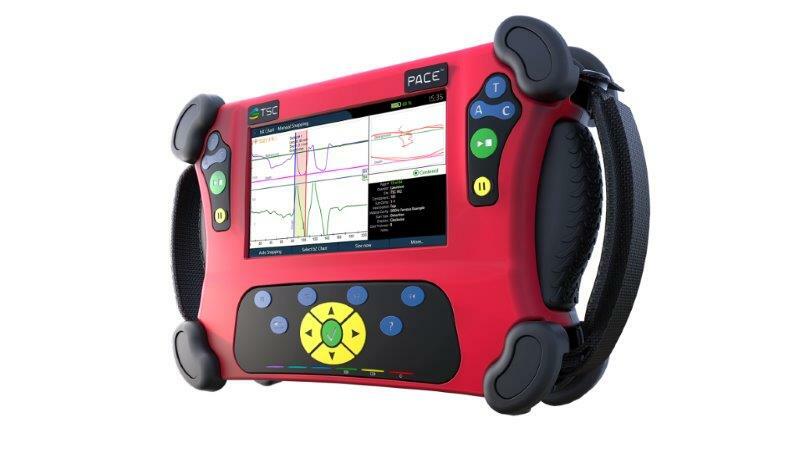 Contact us to find out more about the ACFM PACE or any of our other NDT testing equipment or request a quote online. Accurate defect sizing, length and depth. Integrated, portable, robust unit (IP65). Toughened, high contrast LCD screen. Built-in camera, for on-site images. 4 secure corner harness points.